The Mets swapped Bobby Wahl, Adam Hill and Felix Valerio for Keon Broxton, a premier defender and speed asset with some pop. Bobby Wahl is a reliever who the Mets acquired for Jeurys Familia, with high strikeout rates in AA/AAA (14.6 K/9) to go along with questionable control (3.9 BB/9) and some major injury history on his arm to include Thoracic Outlet Syndrome (hello Matt Harvey). Adam Hill was a 4th round draft pick in 2018 who throws very hard with questionable secondary offerings and profiles mostly as a reliever. Felix Valerio was an international signing in 2018, and preformed well in Rookie ball this season. Overall, the prospect loss isn’t really significant, and the one that hurts the most is Hill, and even he isn’t particularly close to being called franchise altering. 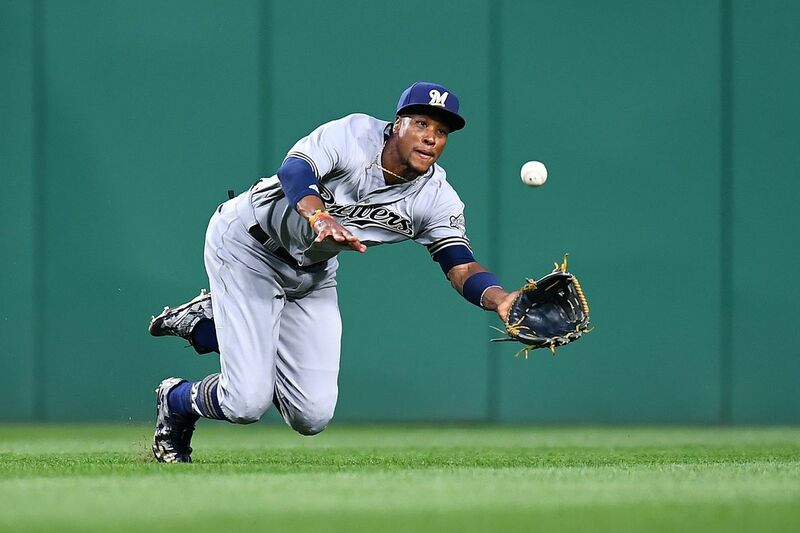 Keon Broxton, however, is pretty fascinating. He had 11 DRS in CF last season, 6th in MLB, insane considering he only played 134 innings there. He’s absurdly fast, with a 29.7 sprint speed ranking in the top 2% in MLB. Broxton also is a power threat, with 20 HR in 2017. The rest of his bat though… leaves something to be desired. Lots of strikeouts (36.6% K rate), and a low batting average with not enough walks to compensate. Yikes. He was also demoted, although that was more a product of the Brewers incredibly over-crowded outfield, the opposite of the Mets current outfield situation. Broxton should probably not be a starting CFer. The good news is, he probably won’t be. He’s more likely to be on the lesser side of a platoon with Juan Lagares, since he’s hit lefties to the tune of a .790 OPS and the pair are both defensively top notch. Which is to say, the Mets have two right handed hitting, defense-first CFers platooning in the OF. Not ideal, but unless they pursue this guy, the FA market leaves much to be desired in CF options, AJ Pollock non-withstanding. Overall, its hard to rate this move as anything other than Brodie Van Wagenen getting the best plausible option that isn’t a high end free agent or Rajai Davis/Gregor Blanco. It feels disappointing, particularly with multiple reports claiming this is the end of the Mets outfield moves. It matters, though- sometimes these unheralded moves are more productive than they seem upon immediate reflection.